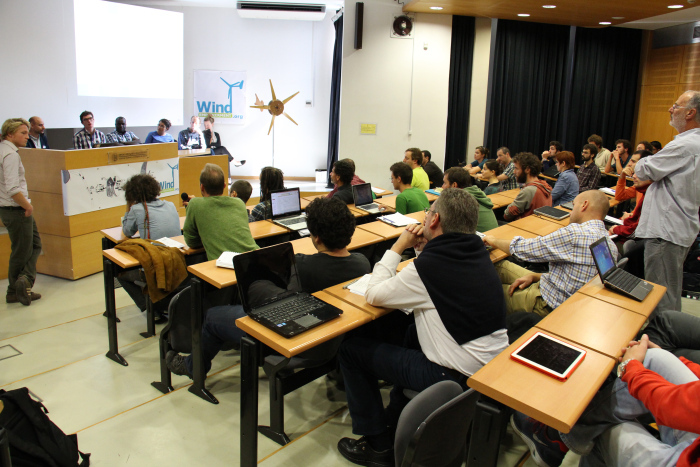 From the 3rd to the 7th November 2014, the Wind Empowerment association hosted its second global conference on small wind for rural development, WEAthens2014. 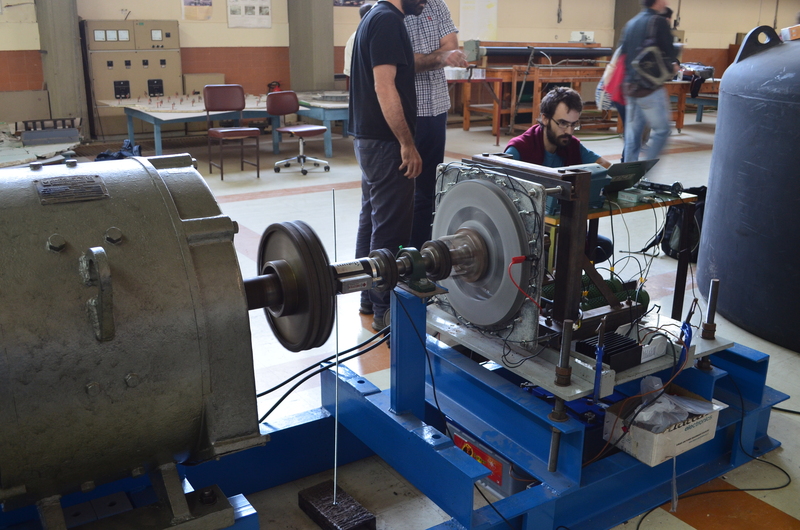 The event was hosted at the National Technical University of Athens (NTUA) in Greece and brought together actors working in the field of small wind for rural development from 17 different countries in Latin America, Africa, Asia and Europe. The aim of the event was to stimulate international exchange between these actors and foster future collaborations that have the potential to make locally manufactured small wind turbines a more viable technology for sustainable rural electrification. An action packed program of panel presentations and discussions, small group sessions, laboratory demonstrations, practical workshops, field trips, poster and technology exhibitions and more ensured that there was no shortage of opportunities for sharing lessons learned. The participants were divided into Working Groups (WGs), designed to address the key barriers facing small wind for rural development. Providing this open space for knowledge exchange and discussion allowed North/South links to be developed with the aim of allowing the resources and expertise of organisations based in the Global North to fuel the development of those in the Global South, as well as facilitating direct South/South connections to share lessons learned and promote future collaboration. Throughout the week, each WG was tasked with developing a group vision and a roadmap of short, medium, and long-term actions that would allow them to achieve this. A new executive board was appointed and the recently redeveloped digital platform, WindEmpowerment.org, was launched with the aim of providing an inclusive and globally accessible hub for this global community to continue to collaborate regardless of geographical location. 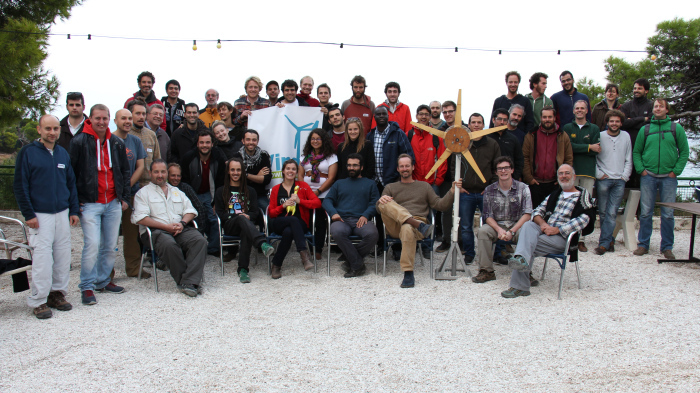 Both WindEmpowerment.org and the executive board continues to evolve around the structure of the WGs, as if properly supported, they can be powerful vehicles of change, developing technical improvements, new measurement systems and more effective delivery models for wind-based electrification. 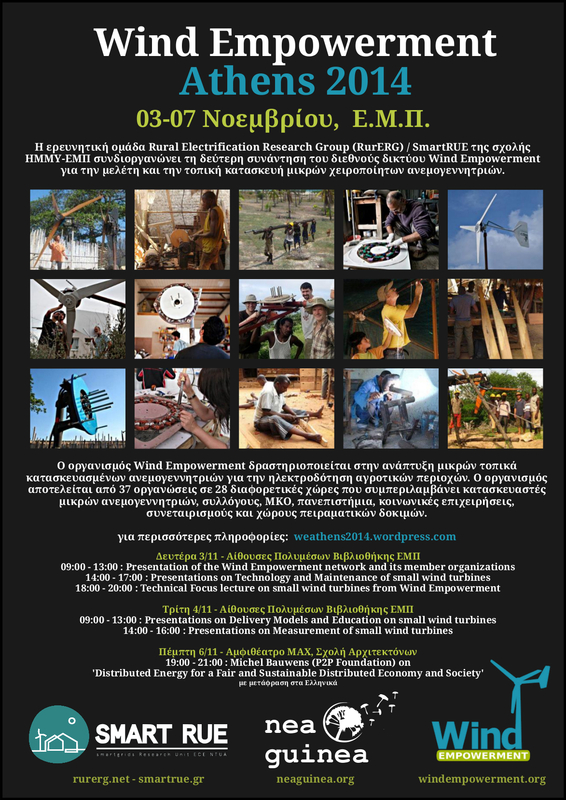 Wind Empowerment aims to support the development of locally manufactured small wind turbines for sustainable rural electrification by strengthening the capacity of its members through collaboration and knowledge exchange and there is no doubt that WEAthens2014 was a significant step forward in achieving this aim. However, if the momentum gained during the conference is to be fully capitalised upon, there is significant work to be done in order to build and maintain the required social infrastructure (executive board, WindEmpowerment.org, WGs). Fortunately, we are in a strong financial position, meaning that going into 2015, the future of wind-based rural electrification is bright. This event would not have been possible without the support of our generous sponsors (The WISIONS Initiative, The Wuppertal Institute, Germany; Terre Humaine, France; Green Empowerment, USA; and all those who donated to the crowd-sourcing campaigns), the volunteer organising committee and our kind hosts, Nea Guinea and RurERG, NTUA.